PHP Script and Web Site App Hosting - Wordpress, Joomla, Drupal, PHP Shopping Carts and More! WordPress installation is easy! Quite possibly the most popular and easily the most famous, WordPress is available for easy installation. WordPress hosting is available on any hosting package from GlowHost. 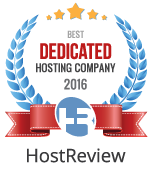 If you are looking for high powered, fully scalable, and highly customizable blog hosting, look no further. Take a look at WordPress and other blog software that we offer. WordPress has a user-friendly interface, simple and straightforward administration panel, and a helpful support site with plenty of customizable plug-ins and themes to set your blog apart from the rest. Based on the powerful server side scripting and MySQL, WordPress is the ideal free blogging solution for almost any web site. Each cart supports all the popular credit card processors, and can be used with our merchant account offer which includes free Authorize.net setup ($99 savings). There are many available options for each cart like integrated online check payments and support for running credit cards via your existing merchant account at your physical storefront or online gateway. You really can’t beat GlowHost’s wide variety of e-Commerce solutions. Combine it with an SSL Certificate and you are in business in a flash! Take a look at the current PHP shopping carts that we offer. Joomla is a full-featured content management system that can be used for everything from simple web sites to complex corporate applications. Joomla is fast becoming the content management system (CMS) of choice for many webmasters due to its relative ease of use, and great looking template set. Joomla installation is a snap with our auto-installer. Joomla has an easy to use administrative back end which is great for all user levels and can make building a comprehensive web site easy to do. Joomla has a very strong community following and support for Joomla can be found on many sites across the web. We have large-scale corporations running their web sites based on the Joomla software package and we have mom-and-pop web sites that love it too. Take a look at the current PHP content management systems that we offer. Another industry leader, Drupal, is a fantastic content management system. Use Drupal to build everything from personal blogs to enterprise applications. Thousands of add-on modules and designs let you build any site you can imagine. Drupal installation is now a breeze with our hosting service. Drupal is free, flexible, robust and constantly being improved by hundreds of thousands of passionate people from all over the world. See all scripts offered by the GlowHost auto-installer available on every hosting plan from GlowHost.